This was my life until one day I’ve decided to go ahead and make our first budget on March 2011. Up until then, we never bothered to match our income with our expenses – and it kind of worked to be honest. But let me tell you – setting up a family budget was one of the best things me and my wife did to start communicating to each other about our money goals, worries, and dreams. And I think you should totally start one for your family – or for yourself if you’re single. But first, let’s address some budgeting myths – because I used to believe in them too. But they all came crushing down as soon as we started spending with a purpose and paying attention to our money. Cause that’s all budgeting is – paying attention to your money and spending it on purpose. False. In fact, if you don’t make much money, you need a budget MORE than anyone else. 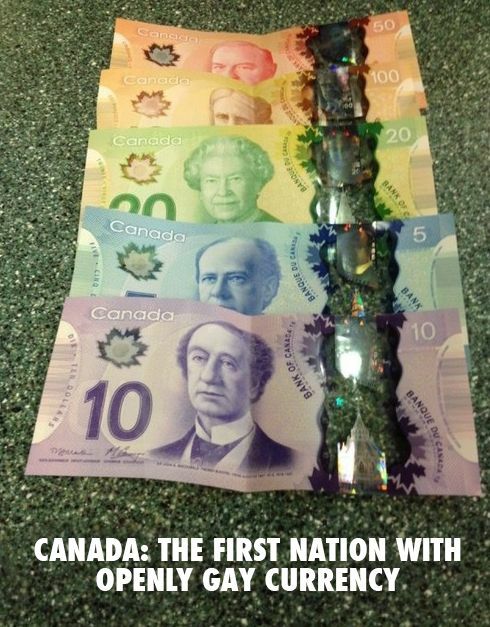 Let’s be honest, if somebody is making six digits a year they can afford to be kind of stupid with money. They are able to out-earn their stupidity. They can take few financial hits without even noticing them. But if you don’t make much money, you’re in a different position – you don’t have much money to go around, and you have to pay very close attention to what happens to your limited funds. You need a budget. This used to be me few years ago. My reaction to piling debt and ballooning credit card balances? “- Oh, I’ll just won’t open the statements because they’re too depressing!” Trust me, it doesn’t work. In fact, it just shows how immature I used to be when it comes to money. At some point, it all comes to a crashing end. If you think you have a problem and things are truly bad – you might as well find out and address the problem right away. You can’t run away from it – so might as well find out where you’re standing financially every month as opposed to trying to ignore the problem. Don’t be childish. Address the problem head-on. Find out where you stand. I bet it’s not even that bad actually – our minds like to exaggerate the problems to stop us from going outside of our comfort zone. Let’s drop the mentality of seven years olds at least when it comes to your financial future, shall we? Says who? For some reason people always think of budget as handcuffs. As soon as budget is introduced, all joy from their lives will be gone and no fun will ever enter your house. That’s complete nonsense! Budgeting is just about telling your money what to do instead of wondering where it all went. You want some fun at your house? By all means have it – just budget for it. If entertainment is important to you, set some money aside for movie tickets and Bon Jovi concerts in your monthly budget. Set aside a chunk of money for you and your wife to spend on anything you want without feeling guilty, even if it’s $50 or $100/month. No need to feel shackled with budget. Honestly, budgeting in my case was the most liberating thing ever. By knowing where we stand financially, we feel liberated to spend with a purpose. No need to stress over your purchases anymore. If purchases are budgeted and agreed on, you spend money on purpose and without feeling guilty. The stress is gone! Malarkey. Budgeting isn’t actually this time consuming. You probably spend more time day dreaming about your next vacation. Once you get going, it doesn’t take much time to maintain it. Sure, your first budget might take a couple of hours to complete. Next month budget? Half of that time. The one after? Ten minutes tops. My secret to effortless budgeting is Mint.com. I’ve mentioned it before in one of my previous posts, but it’s worth mentioning again. Mint.com allows you to create a budget within minutes. After you’ve added all your bank accounts into it, it automatically downloads all your transactions, and sorts them out. It might take 2-4 minutes A WEEK to categorize expenses to see how you’re doing. And it’s completely free, you should really give it a try. Creating a monthly budget in our family takes about 10 minutes now. 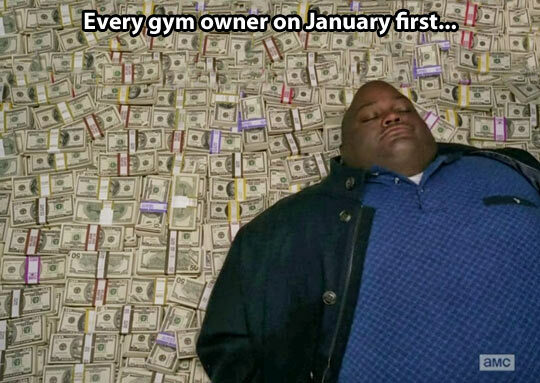 Add few minutes a week to categorize the spending. Altogether? Probably around half a hour on any given month. Most people spend more time planning their fantasy hockey teams. Seriously, everybody has 30 minutes a month to create and maintain a budget. This must be one of the most irritating budgeting myths in my mind. Absolute baloney (yes, that’s how I spell it)! You don’t need to have a corporate budget with cash flow projections and amortization schedules. 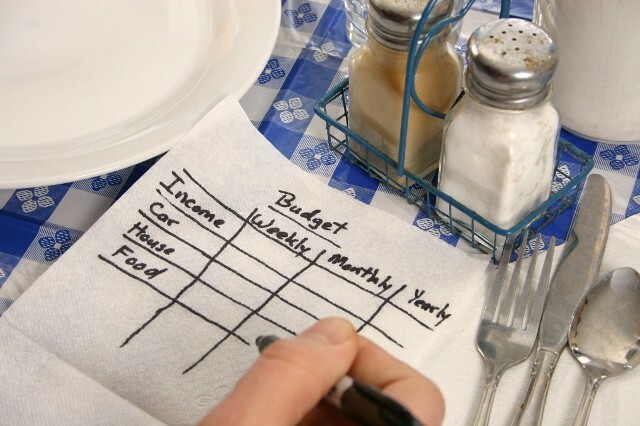 A family budget can be written down on a napkin while you and your spouse are getting breakfast at Denny’s on Saturday. You might think you’ll need complicated software that tracks every single penny and produces reports and pie charts. Heck no! Keep it old school, and grab a single piece of paper, divide it in half, and write down your monthly expenses on one side, and your income on the other. Boom, you’ve just created your first budget. You might need to balance it by matching your income to your expenses, but that was your first step. And your waitress hasn’t even brought your drinks yet. Well, you’re doing it wrong then. You should absolutely talk about money in your marriage. There are only few things that can shutter a good marriage, and money problems and money fights are right on top. Thankfully, a monthly budget and communicating with your spouse on how you’re planning to spend your money this month will eliminate all the tension. If you’re worried about money, sit down with your spouse. Tell him/her that your financial future is important to you, and you would like to talk about it openly. A monthly budget discussion can be a great start for you. Heck, before we started budgeting, I didn’t even know what kind of financial goals my wife has. I didn’t know what’s important to her and how she would like to spend money or save money towards. But by sitting down and discussing the way we’ll be spending money this month we clearly communicate to each other what worries us, and how we’d like to see money spent. Sure, it can be awkward first or second time. But it beats the alternative – avoiding the subject to the point of no return when one of the spouses loses the marbles, and money fights start. Actually, this might be true for you. If you make $200,000/year, have plenty of money tucked away, and can spend money without any thought given to it – heck, you might not need a budget. Do you mind adopting me? But if you’re an average Canadian who has too much month left at the end of the money, you might want to consider creating one. If you feel like you’re not sure where to start when it comes to this “personal finance thing”, budget might be a very good way to start. If you ever felt like you need a raise, you’ll be surprised how budget gives you a feeling of more money in your pocket. Seven budgeting myths busted. Seven budgeting myths you might have had that were stopping you from starting a budget all this time. They’re all in pieces, on the floor, and nothing is holding you back from creating your very first budget. So, start one. Like, right now. Yes, grab a napkin, and start one. I promise it’s not hard, time consuming, restraining, or scary. In fact, it can be the best thing you’ve ever did for your family. Hopefully these budgeting myths won’t stop you now. ← Best Savings Account – Tangerine vs. President’s Choice. The Ultimate Showdown!